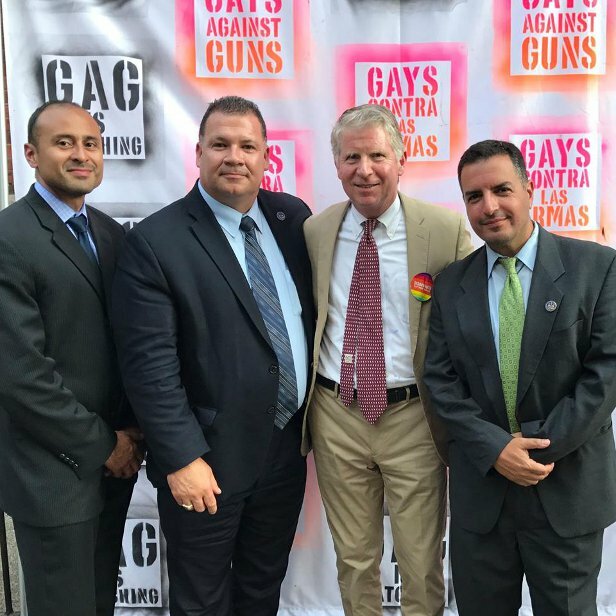 Vance memorializes the Pulse nightclub "gun-free zone" murders by an Islamist terrorist by endorsing more citizen disarmament as the way to thwart ISIS. Promoting anti-RKBA (right to keep and bear arms) sentiment in Spanish is telling in terms of understanding the enthusiasm for "sanctuary cities." "New York County District Attorney Cy Vance in an interview aired Sunday blasted a GOP plan that would allow qualified owners to carry concealed handguns in other states that allow individuals to carry concealed firearms," The Hill reported Sunday. "The district attorney warned lawmakers that they were 'playing into the hand' of the Islamic State in Iraq and Syria (ISIS) and other terrorists, pointing to ISIS publications describing the ease of buying guns in some American states." "This bill is supported, I'm sure, by ISIS," Vance asserted, just to make sure the headlines would be hysterical and the herd would be properly spooked. "ISIS points its readers to America and how they can easily obtain guns by going to states where there are no permitting requirements. So ISIS is paying close attention to this bill as well." For "Progressives," every day is Opposite Day, so leave it to one of their key players to declare the very thing the Founders deemed "necessary to the security of a free State" to be its undoing. And that, of course, requires that "the right of the people to keep and bear arms [BE] infringed." New York City is a prime violator of that right, from the criminally insane Sullivan Laws-literally. The notoriously corrupt "Big Tim" Sullivan, a favorite of city trade union leaders and the suffragette movement, forced them through to the benefit of his criminal cronies. He died under mysterious circumstances after escaping from a sanitarium, where he'd been suffering from paranoid delusions and the ravages of tertiary syphilis. Vance is happy to keep the paranoid delusions against an armed citizenry going. The son of a former Secretary of State and globalist insider, he has teamed with Los Angeles City Attorney Mike Feuer (another oath-breaking gun-grabber) to form Prosecutors Against Gun Violence, a nationwide clique of elitist government lawyers from "progressive"-controlled urban areas intent on advancing a state monopoly of violence. "The group plans to focus on policies to reduce gang violence and weapons trafficking," The Los Angeles Times claims. "Prosecutors will also explore connections linking domestic violence, mental health and gun-related crimes."